A few months ago, in a wine-induced Amazon shopping spree, I bought four packs of Kanekalon hair. In the 12 years that I've been natural, I've never worked up the nerve to install Senegalese twists on my own hair. Sure, I've paid many stylists to do them for me, but I've never done them myself. In the past, I'd always been nervous about whether I had the right "skills" to take on the task. So, with a little liquid courage, I jumped the gun and anxiously waited for my Kanekalon hair to arrive in the mail. It turns out, there is an easy method to install Senegalese twists. It involves using the "invisible loop," which allows you to twist your hair into the Kanekalon hair, giving you a more natural look at your roots. With a little practice, the installation became so easy that I couldn't believe I'd put it off for so long. This experience helped me to learn not to be afraid to try new styles with my natural hair, regardless of how complicated they might seem. 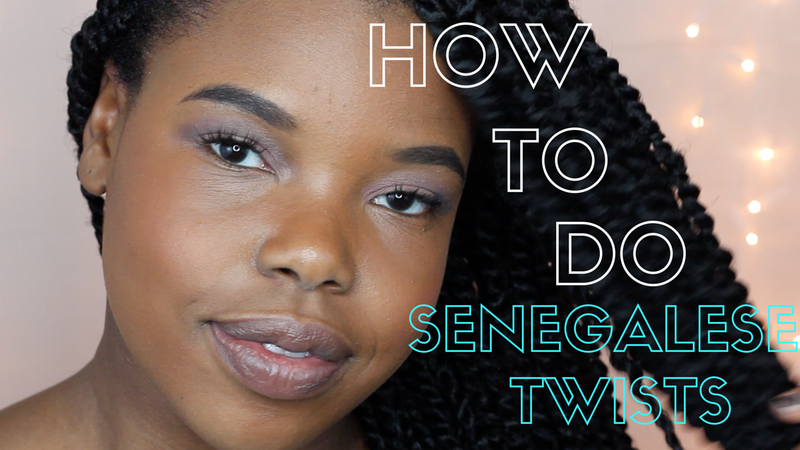 So, if you're a beginning braider like me, the following video tutorial will help you achieve beautiful Senegalese twists.